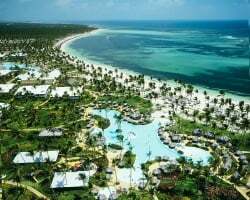 Located on the Eastern tip of the Dominican Republic, Melia Caribe Tropical's expansive grounds cover about 5,382,000 square feet of relaxing palm trees, gorgeous white sand with Caribbean blue water, and upscale accommodations. Only 20 minutes from Punta Cana airport, and just across the street from the famous Cocotal Golf Complex, Melia Caribe Tropical is a golfer's paradise! Beach lovers' dream resort in Punta Cana! Odd years floating week w/ RTU until 2063! Buyer may receive a title fee credit; inquire for details! 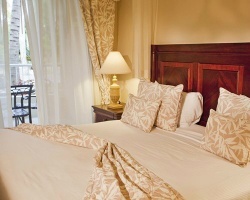 Platinum membership which allows owner to book holiday time first! Exchange for 76,000 RCI points! Buyer May Receive A Title Fee Credit. All inclusive resort! Enjoy beautiful beaches, a large list of amenities and so much more! Dazzling, all-inclusive resort & beach! RTU until 2059! Buyer may receive a title fee credit, inquire for details! Motivated seller! All reasonable offers considered! All inclusive resort! RTU until 2059! Ability to choose vacation within the Melia Vaction Club. Take part in one of the many onsite activities available year round! Buyer May Receive A Title Fee Credit, Inquire For Details! Gold Membership. Unit is a Master Suite! RTU until 2038! All Inclusive in Punta Cana! Buyer May Receive A Title Fee Credit, Inquire For Details! RTU until 2056! All reasonable offers will be considered. Gorgeous resort in Punta Cana! Floating annual week, with 23 years left on contract. Motivated sellers - all reasonable offers considered! Ocean View in Red Season - 28 Weeks Remaining for Only $4800! Accelerated Usage Available!! Get to choose your week! RTU until 2032! Buyer May Receive A Title Fee Credit, Inquire For Details! 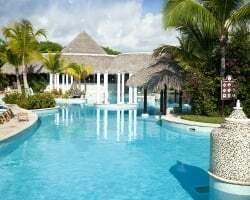 All-Inclusive hotel in Punta Cana! Pick your dates with an annual floating week! Buyer may receive a title fee credit, inquire for details! All offers will be considered! Annual getaways to tropical paradise! RTU until 2058! Inquire now! 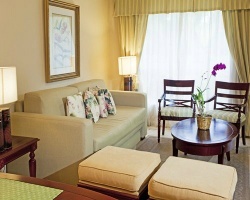 All-inclusive resort with luxurious accommodations! Floating odd year week! Inquire for more details!